I am writing to ask that you act now to protect California businesses from unnecessary harm resulting from the planned auction of emission allowances under AB 32. The auction, as now planned, exposes many California businesses to extraordinary costs that will put them at an unfair competitive disadvantage, encourage them to move their operations to other states or nations, and put California jobs at risk. The action I am asking you to take – to provide additional transition assistance to California businesses -- will in no way deter or diminish the effectiveness of the cap and trade program to reduce carbon emissions to 1990 levels by 2020. I ask that you direct CARB’s staff to take this action now. California businesses need certainty that they will not face unsustainable costs in the future so that they can make plans to invest in California. Allowing businesses to participate in the cap and trade program without also requiring them to unnecessarily purchase emission allowances will protect California businesses and jobs while still meeting the goals of AB 32. Please act now to protect California workers and the California economy. To have your company listed on the letter please fill out the form below. Your name, email address and zip code will NOT be listed on the letter. Your name, email address and zip code will NOT be listed on the letter. Planetary Machine and Engineering Inc.
Sign Age Identity Systems, Inc.
Click here to download the executive summary of the AB 32 Report. 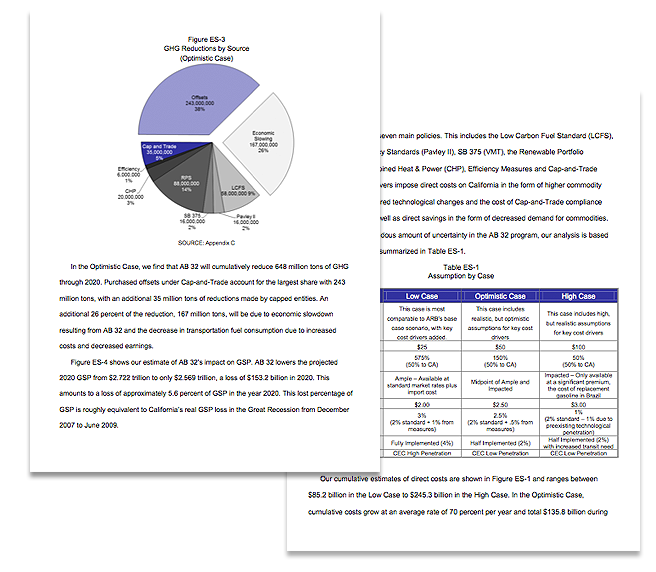 Click here to download the full AB 32 Report. Even in the rosiest of scenarios, the “low case”, families still pay $1,300 in annual costs and California loses $15.8 billion in local and state tax revenues. Under the “optimistic” scenario, California’s local governments will lose $1.9 billion in revenues by 2020 and face an additional annual cost increase of $2.3 billion in 2020. Under the “optimistic scenario”, the Los Angeles Unified School District will face cumulative costs of $27.3 million with an annual impact of $5.5 million in 2020. 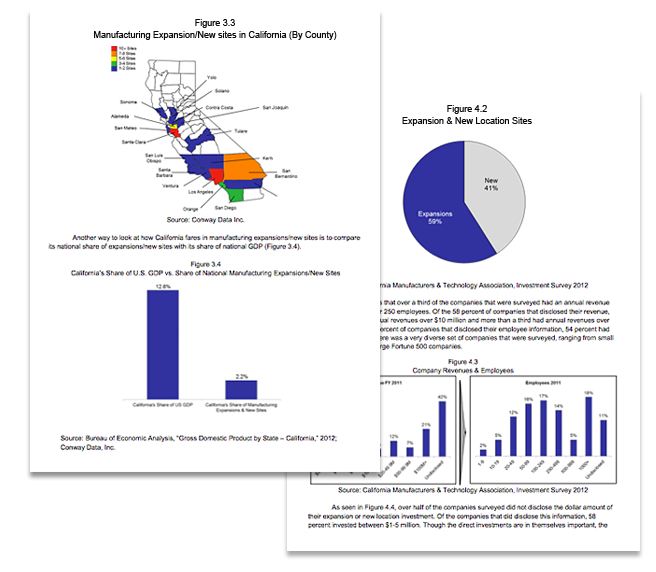 Click here for a slide presentation on AB 32 critical findings.